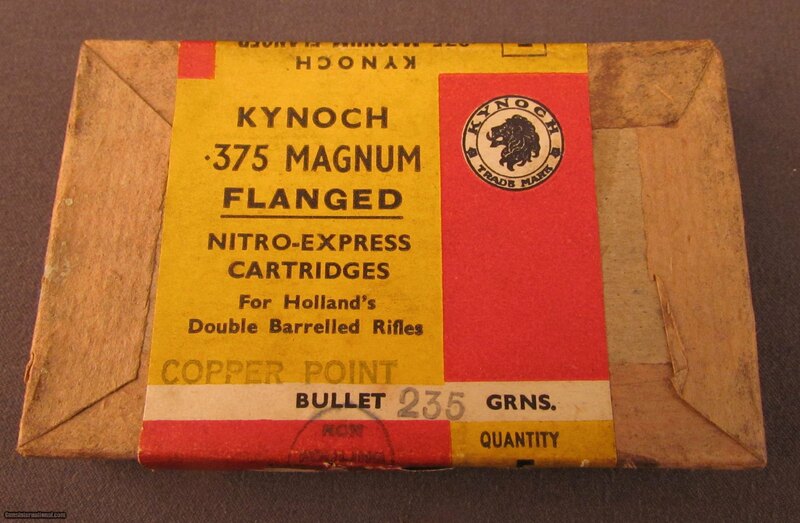 Sealed Box of 5 Kynoch .375 magnum flanget nitro-express cartridges. These were buit by Kynoch for the Holland and Holland double rifle. 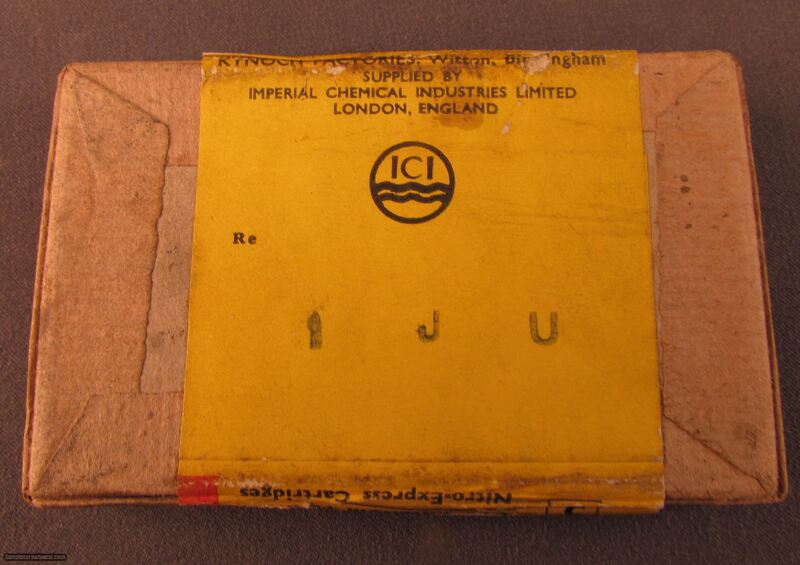 Scarce sealed and banded packet.